the bed of spikes. i dont remember what we called this contraption when we were young but im going to call it the bed of spikes. 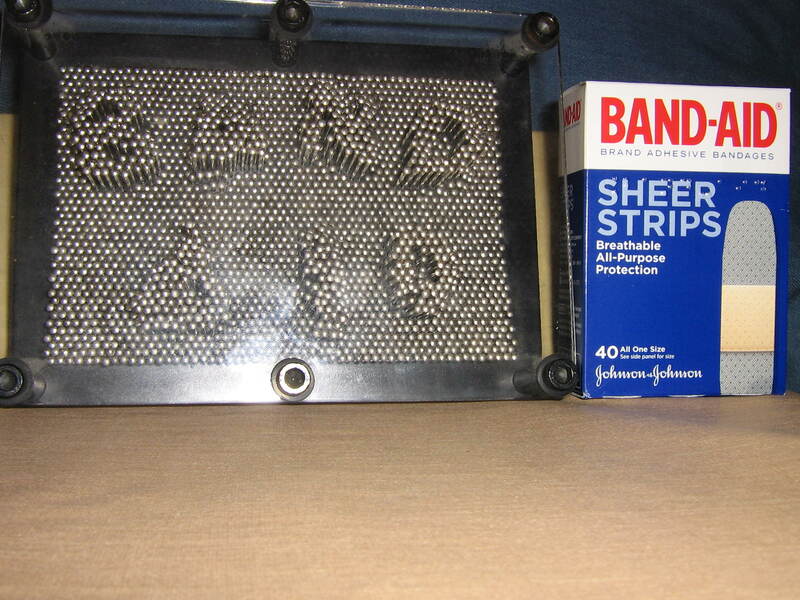 i used to play with this all the time when i was little and try to make cool designs. this was by far the most frustrating post i’ve made because it was extremely annoying trying to get the letters just right. this toy reminds me of like an etch a sketch sort of thing. so first i cut out the letters from a cardboard folder and then struggled for quite some time trying to get the right needles pushed in. after struggling with it for a bout a half hour i decided to tape the letters to the back. i then found that the tape was pushing needles that made the letters look very sloppy. so as my last resort i layed down and just used my fingers to hold the letters in place and had my mom gently pick up the toy so they wouldn’t fall out of place. i thought it was cool to show the brand in this way and i also placed the box next to it to help better associate the brand with the needle image. i feel like i am making progress with the posts and they are starting to get better even though i am behind.